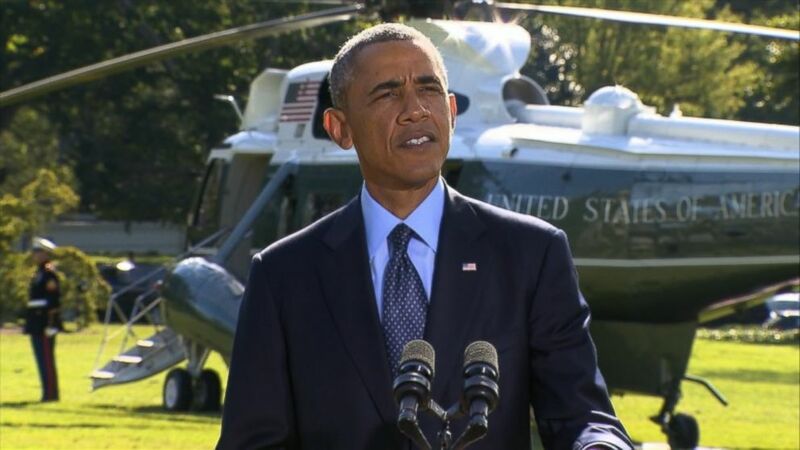 What to know about Authorization for the Use of Military Force against ISIS. camera (ABC News) President Obama makes a statement from the White House on Sept. 23, 2014, the morning after US officials confirmed airstrikes against ISIS targets in Syria. Over the next couple of months, Congress will be debating a new Authorization for the Use of Military Force against ISIS. But unless you are a national security wonk, the odds are that you will not be familiar with the term or its acronym, AUMF. AUMF is the acronym for Authorization for the Use of Military Force. The specific AUMF that Congress will debate will provide the legal authorization for the U.S. military to fight ISIS. You pronounce every letter in the acronym, unlike other acronyms like NASA. WHY DO YOU NEED AN AUMF? The War Powers Resolution of 1973 requires the president to notify Congress within 48 hours of ordering U.S. armed forces for a military operation overseas. Those forces cannot operate in a deployed status for more than 60 days. Combat military operations lasting longer than that time frame require a congressional declaration of war or an authorized use of military force. American airstrikes against ISIS began on Aug. 8 and an airstrike campaign in Syria began on Sept. 22. Since then the U.S. has launched 1,900 of the 2,360 coalition airstrikes in both Iraq and Syria. WHY DO YOU NEED AN AUMF AGAINST ISIS? Since the start of the airstrike campaign against ISIS, the Obama administration has relied on the AUMF’s from 2001 and 2002 as the legal justification for its airstrikes against ISIS. WHAT IS IN THE OBAMA ADMINISTRATION’S PROPOSED AUMF? For months there has been bipartisan congressional support for an ISIS-specific AUMF. However, some key members of Congress have wanted the Obama administration to take the lead in proposing what should be in a new AUMF. The AUMF proposed by the Obama administration contains several main points. It would authorize military operations against ISIS for three years, allow for the limited use of ground troops by not authorizing "enduring offensive ground combat operations." It would also repeal the 2002 AUMF that authorized the ground invasion in Iraq, and provide reports every six months on the pace of operations. The draft language authorizes President Obama "to use the Armed Forces of the United States as the President determines to be necessary and appropriate against ISIL or associated persons or forces." It also describes ISIL, also known as ISIS, as a terrorist organization that poses a "grave threat" to the U.S. and its allies in the Middle East. AREN’T THERE ALREADY US TROOPS IN IRAQ? There are currently 2,630 U.S. military personnel in Iraq. Last summer, the Obama administration sent American troops to Baghdad to augment security at the U.S. embassy as well as a small number of advisers to help the Iraqi military halt ISIS’s advance towards the Iraqi capital. Since then the White House has authorized the presence in Iraq of as many as 3,100 U.S. military personnel to provide security to American facilities and launch a training and advise mission for the Iraqi military. The Obama administration has repeatedly stated that U.S. personnel sent to Iraq are not combat “boots on the ground” because they will not see frontline combat with Iraqi units. However, senior military commanders have said publicly that Joint Terminal Air Controllers (JTAC’s) may end up paired with Iraqi units to call in airstrikes in complex military operations. The proposed AUMF would enable this limited use of ground forces. WHY FOR ONLY THREE YEARS? The proposed AUMF would last only three years. U.S. military officials have projected that the fight against ISIS could take several years, a minimum of three years. This is how long it would take to retrain the Iraqi military so it can defeat ISIS in Iraq as well as train a force of Syrian moderate opposition fighters who could take the fight to ISIS in Syria. But there is also a political component too as there has been congressional and administration criticism that the 2001 AUMF was too open-ended. Renewing the AUMF three years from now would allow a public debate on how much longer the fight against ISIS should last. HOW LONG WILL THE CONGRESSIONAL DEBATE LAST? It will certainly last weeks, but could stretch into months. SO, WHAT’S THE BOTTOM LINE – WILL THE AUMF PASS OR FAIL? It’s far too early to suggest the authorization will fail. But if it does, the White House has a backup plan: The proposal only seeks to repeal the 2002 AUMF, the original one passed by Congress in 2001 targeting Al Qaeda is still in place and is the basis for the fight already underway against ISIS. ABC’s Jeff Zeleny contributed reportng.